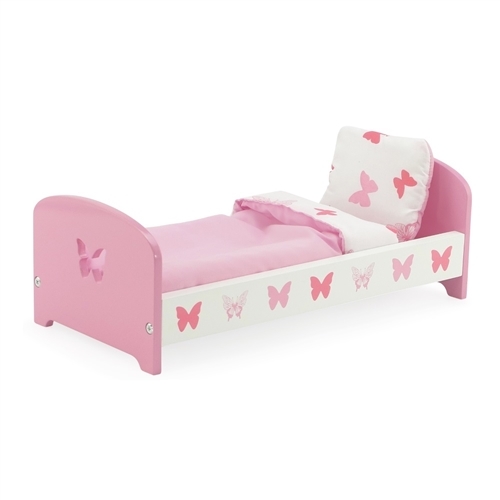 This sturdy wooden pink and white doll bed, made to fit 14-inch dolls, comes with beautiful "butterfly" motif. Set includes plush pink comforter, pillow and mattress. Check out our Emily Rose matching armoire and bunk bed, also with "butterfly" motif, search product numbers INS6007 and INS6009. 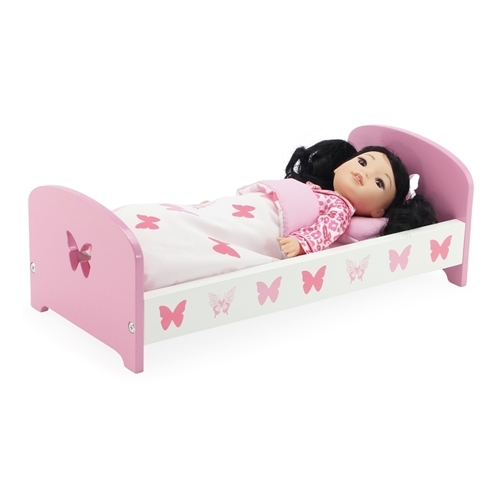 This doll furniture is made to fit 14" dolls like American Girl Wellie Wishers, Hearts for Hearts Girls, etc. 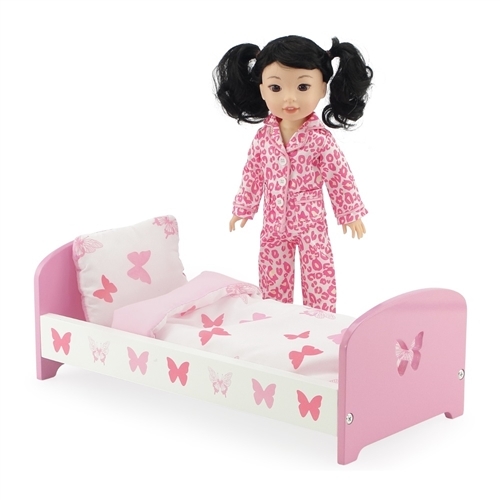 Lovely single bed is part of our exclusive Emily Rose Butterfly design collection, and is perfectly sized for your special 14 inch doll! Doll bed includes a lovely reversible bedding set: Pink comforter, pillow and mattress with white beautiful butterfly details. Made to fit 14 Inch dolls such as American Girl Wellie Wishers Dolls, Hearts for Hearts Girls, etc.